Its certainly been a crazy few weeks for the Loliwe songstress who has been making news for some controversial stories. The singer has admitted that she sank into a huge depression and turned to alcohol to try and numb the stress and pressure she was under. She has now given up alcohol and is turning a new leaf. However, it seems that no matter how much Zahara tries to turn things around for the good the controversy surrounding her keep on springing up, it is like the gift that just keeps on giving. This time a video of the singer attending controversial Sandton based Prophet Lukaus's church has resurfaced. 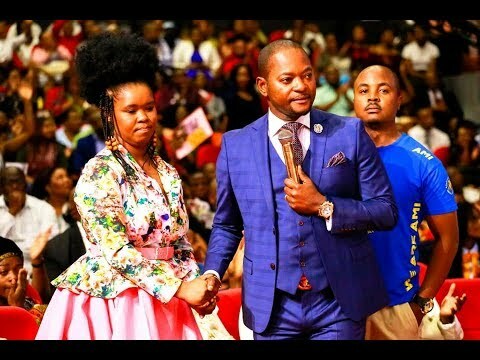 The video which was published in November of 2018 shows Zahara having an encounter with the Prophet who has become synonymous with raising a man from the dead. In the video Lukau is seen telling the singer that he will pray for all her troubles, telling her that "it's not over yet" and that "the best is yet to come"
The Prophet also says he will pray for her bones, something that seems to surprise the famous guitarist who visibly looks taken aback by his words. When speaking to TshisaLIVE the singer was asked about her visit to the church and whether her attendance was meant as a publicity stunt, something the singer dismissed as untrue. We do hope that the singer does see brighter and better days.